It is an important time of the year as the season comes to a close, where teams are fighting for championships, promotions and good performances across all leagues of football. Whilst teams are battling for success, some teams are fighting to avoid the dreaded relegation to a lower league, this is no more vital than for League 2 teams. Success and defeat in League 2 means the difference between staying in the Football League, or joining the semi-professional ranks of the Conference and lower leagues. However unfortunately, with one game left to play this season both Tranmere Rovers and Cheltenham Town said goodbye to the Football League, the full stop to a woeful season for both teams. For Cheltenham Town, it means the end of a 16 year run in the Football League which began under the management of current Bristol City hero, Steve Cotterill. However, this season alone saw four different managers and 41 different players, but the only statistic that matters is 23 defeats in 45 games. However it was not all doom and gloom for the Gloucestershire Robins as they experienced a strong start to the campaign. Before the start of the season, then manager, Mark Yates opted for a younger squad, releasing many of the older players within the outfit, including striker Jamie Cureton. “I want to freshen it up and I want a younger squad,” told Yates to the official club website. “I just need to freshen it up as much as I can and that’s the route I have gone down.” The change in squad seemed to pay off in the first part of the season with Cheltenham going undefeated in their first six league games, a feat they would not replicate. Coupled with this was their first round win against Oxford in the Johnstone’s Paint Trophy. One of the standout players in the early part of the season was Birmingham City loan star, Koby Arthur who scored four goals for the Robins in eight appearances. His early departure was a blow for Cheltenham and Mark Yates but then Blues boss deemed it necessary with the injuries in his squad. “I’m a bit gutted for Mark Yates and Cheltenham because they were dealing with him really well and he was getting what we wanted from the loan deal, but ultimately he has to come back to us,” Lee Clark said to the official Birmingham City website. Birmingham City’s Koby Arthur signed with CTFC on loan until January. However the winger was recalled due to injuries in the Blues squad. Nonetheless, early success took Cheltenham to the top of League 2 and brought both manager and player of the month nominations for the gaffer and goalkeeper Trevor Carson. However the good results did not last and in Arthur’s last game for the club and his first start, Town faced their first loss in the league from bookies favourite for promotion Luton. This started a string of poor performances with only two draws in the next five league games, as well as bittersweet return of Cotterill with his Bristol City as the future winners knocked Cheltenham out of the Johnstone’s Paint Trophy, 3-1. Cheltenham manager Mark Yates was at the club for almost five years but was released in November 2014. Although positive results came from Northampton and Cambridge, the Robins were unable to continue their winning ways, as growing calls came from the terraces for the manager’s sacking. Although in the eleventh hour of Yates’s managerial career at Cheltenham came a shock 5-0 battering of League 1 side Swindon in the FA Cup, pitiful results in league sealed Mark Yates’s fate. 5-1 away at Stevenage and 4-1 at home to Wycombe was enough for Chairman, Paul Baker and the Board to pull the plug. The former player and captain was well received as new manager following the departure of Martin Allen. 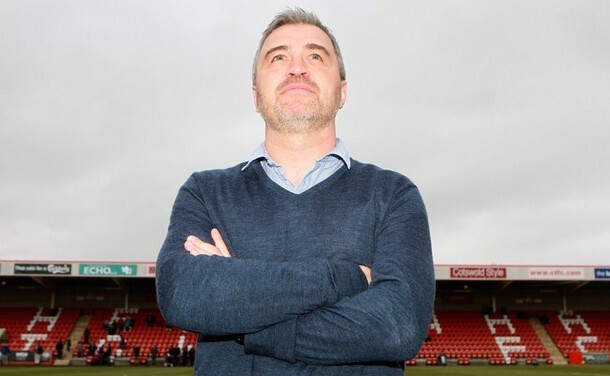 With almost five years at the helm of Cheltenham Town, it made Yates the third longest serving manager in the top four divisions of English football behind Arsenal’s Arsene Wenger and Paul Tisdale of Exeter. The Robins had seen highs and lows in the Yates era but the FA Cup third round ties against Tottenham Hotspur at White Hart Lane and Everton, as well taking the team to Wembley for two successive League Two play-offs, will be the most memorable moments. 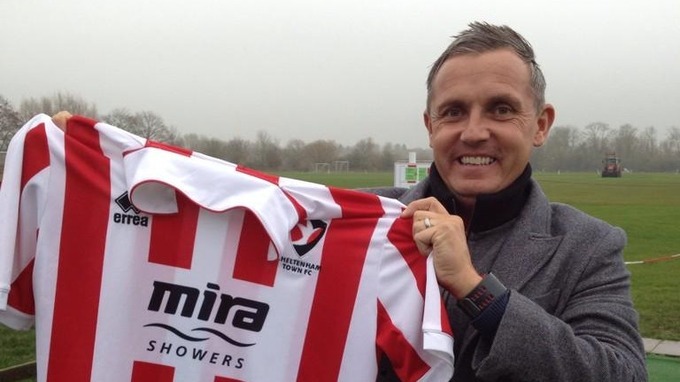 A day after the departure of Mark Yates, Paul Baker called a press conference to announce former Luton, Torquay and Bristol Rovers manager, Paul Buckle as the new leader for Cheltenham Town FC. Opinion was divided on the appointment especially with Buckle out of active management for two years, working in America. Fans of both Luton and Bristol Rovers where Buckle had a torrid reign of the Pirates warned supporters of the new gaffer. Many believe the fate of Yates was sealed before the Swindon game, but the success prolonged his stay to a few more fixtures. During this time it is also believed Buckle was lined up and ready to infiltrate into Whaddon Road. Nonetheless, Paul Buckle stood up to the plate in late November and ended their four-game losing run with 1-1 draw at home to Oxford. And the poor performances kept coming as Cheltenham only secured one win under Buckle, away at Oxford United, accumulating just seven points from a possible 33 leaving the Robins 22nd in the table and just above the relegation places. Whether it be in press calls or post-match interviews, Buckle was first to blame the players for poor performances or the state the squad that was left for him by Yates. This made him not only unpopular with the dressing room but also with the fans with Twitter, social media and most importantly the terraces, home and away lighting up with dislike towards the boss. Instead of building up the team, he was knocking them down not privately but publicly as he pushed the blame for the run of poor shows. Whilst it was no secret that Yates took advantage of the transfer budget, funds were made available by the board for Buckle to improve his squad to turn around their form. During the January transfer window, Cheltenham Town were busiest club bringing in ten players and releasing eight. Much hype was brought by the signing of the promising, young, Liverpool trio, Lloyd Jones, Kevin Stewart and Jack Dunn. However after a few good performances injury troubles saw their returns to Anfield. Other loan signings included Jake Gray from Crystal Palace and Denny Johnstone, a prospect for the future from Birmingham. However both made little impact and returned after their month stint, with Johnstone scoring one goal in five appearances. 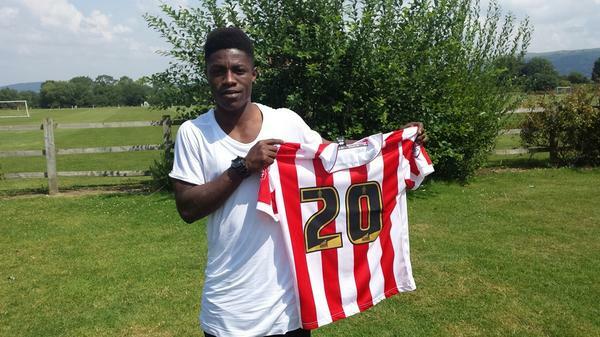 Denny Johnstone signed by Cheltenham on loan from Birmingham. Nonetheless, the transfer window did bring some success. Jordan Wynter returned to the Robins from Bristol City in a 18-month deal along with fellow Bristolian Robin, and Wales U21 star Wes Burns. Also Mathieu Manset was brought in from Walsall as well as Durrell Berry from Torquay who have made regular appearances in the squad. Eliot Richards arrived at Whaddon Road but his playing time was cut short after being diagnosed with testicular cancer, and sidelined to recover. The outgoings were almost as large as saw big names in the club depart for other teams. Striker Byron Harrison was put on the transfer list by Buckle and was picked up by League 1 side Chesterfield, whilst Jason Taylor moved over to Northampton Town. Annoyed by his lack of playing time, Terry Gornell returned to Accrington Stanley scoring three goals in thirteen outings. 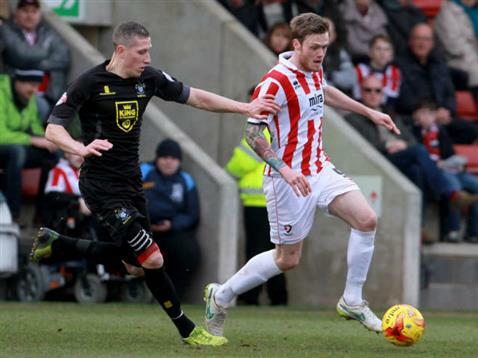 The shock departure was Steven Elliott who departed by mutual consent after four-and-a-half years at Whaddon Road. Elliott who also held a coaching capacity at the club was not part of Buckle’s plans but however would later return to the club. But after 13 games with only one win, and just 79 days in charge, Paul Buckle left as manager of Cheltenham Town by mutual consent. Buckle’s time at Cheltenham will not be remembered fondly by anyone associated with the club, namely the staff. Paul Buckle’s attitude and management style resulted in a lot of departures and for the board to reverse their strange ‘vote of confidence’ press release a few days prior. The wrong attitude brought the wrong results slumped the Robins further down the table. Academy boss Russell Milton took charge of the first team following the departure of Buckle. A lesson was learnt by the board who decided not to act so hastily on Buckle’s replacement, instead placing Academy boss Russell Milton in charge with returning Steve Elliott as his deputy. Although their were talks of a ‘Football Advisor’ a senior figure to watch over, thankfully these were abandoned and Milton was left to reverse the damage until a new manager was found. It was a monumental task for Milton to undertake but starting to regain the right attitude was the biggest step to improving form. The fans firmly got behind the team and behind Russell Milton, creating the right atmosphere at Whaddon Road. In the nine games Milton and Ellliott were in charge they were only beaten four times, recording a win against fellow strugglers Tranmere Rovers and their first clean sheet since September in the league. Milton certainly didn’t have it easy, taking on some of the biggest clubs in the league like play-off pushing Bury, Portsmouth and Plymouth. But he bolstered the army with six further loan signings in form of Shaun Harrad, Matt Sparrow and Pablo Mills initially. Danny Haynes joined the team at Whaddon Road, whilst the relationship between Cheltenham and Birmingham brings highly-rated American defender Will Packwood from the Blues and Derby’s Shaq McDonald tops off a busy season for the shirt makers. Out of the blue came the announcement via Twitter and the Official Cheltenham Town website that the Robins had signed former Yeovil, Peterborough and Bristol City manager Gary Johnson to outfit until the end of the season. Despite the work of the board, Milton and Elliott, Johnson had the arduous task of recovering the Robins to safety in seven games. The task wasn’t made any easier with the run of form from Hartlepool United, who also were fighting the dreaded drop. Nonetheless, Johnson focused in on what he saw as the main weaknesses of the side, their fitness, their mentality and their finishing. The buzz word around Whaddon Road is ‘home-truths’ as the new gaffer made the players aware of their strengths and weaknesses away from the cameras in the dressing room – possibly the way Buckle should have motivated his players. From this self-evaluation and watching of tapes in a classroom setting, Johnson was hoping the side could see their weaknesses, work as a cohesive unit and in-turn bring the good performances. Former Bristol City and Yeovil manager Gary Johnson signs for Cheltenham. Unfortunately it didn’t seem to be enough as fitness levels were not in-line with competitors and a lack of quality in the final third. This was compounded by the injury troubles of Jordan Wynter and Will Packwood, a late problem for right-back Lee Vaughan, as well as ankle injury which ruled out Wes Burns from some key fixtures. The only saving grace however was the teams surrounding Cheltenham not performing either – with fans and commentators alike requesting a special clause to relegate all three teams for being equally awful. Whilst a reprieve came in the form of a brilliant 3-1 win over Cambridge, it was simply not enough and a win for Hartlepool against Exeter sealed the fate of the Robins with one game to go. It was a devastating moment for all Cheltenham fans as they could not pull off the great escape. No matter how likely the outcome of the season was, even with glass-half-full optimism, especially after the Cambridge victory, it doesn’t make the seemingly inevitable any easier. Players, fans, figures within Gloucestershire all came out with great sadness that Cheltenham’s Football League adventure had come to an end. Cheltenham Town find themselves in an interesting situation as they look towards their first season in the newly named National League (Conference). Chairman Paul Baker has already stated that the club will continue to run as a full-time professional outfit but they will lose almost £500,000 worth of funding, which will mean cutting the playing and managerial staff as well as cutbacks across the board. On a lighter note, some of the players have been the key issue the why Cheltenham are in the position they are in, but they will be moving on as their contracts are up. Whilst no names are confirmed yet, it is expected that the final game of the season, and the final game in the Football League for Cheltenham will feature a team made up of young stars. A behind closed doors game has already taken place with development players and triallists taking part. 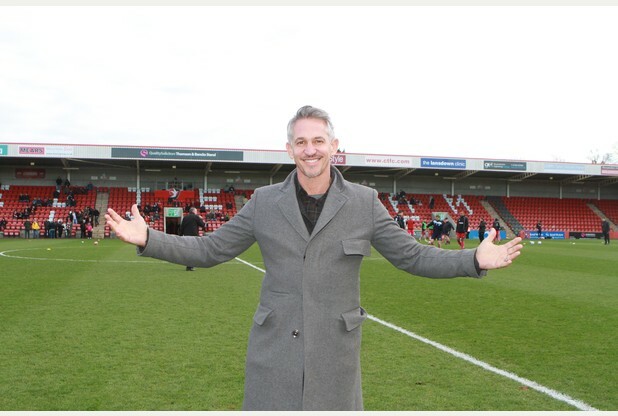 It has been a historic week for Cheltenham Town Football Club and not for good reasons. However as the dust settles on the important result and outcome, action has already taken place to make sure the Robins start their campaign on the right foot. Many times the board has been at fault during this season, but this is the time when they need to be decisive, swift but not reckless. The worst thing fans and supporters of the club can do is underestimate the National League. Whilst it is a given that supporters would love to see Cheltenham replicate the success of Bristol Rovers, it certainly isn’t that easy, and Rovers went down in a better position and quite unluckily compared to the Robins. Underestimate it at your peril. It is no secret that Cheltenham’s support ebbs and flows from packed stands to quiet matches and even quieter away days. This will certainly be the case in the lower league, as the board have conducted research which concludes a 20% reduction in support. However it could be worse for the Gloucestershire Robins with away support being almost non-exsistent especially when you consider the struggle to many away to Carlisle or Accrington let alone a weeknight and then in National League against sides like Gateshead of Barrow. Support will be vital to funding the club to help bring in new players and speed up the process of returning to the Football League. Can the former Bristol City manager, now Cheltenham manager re-create the famous moment of the former Cheltenham manager, now Bristol City boss. Only time will tell how both Cheltenham and of course Tranmere Rovers get on in the National League. The undeniable feeling across the fans is relief that the season is finally over. 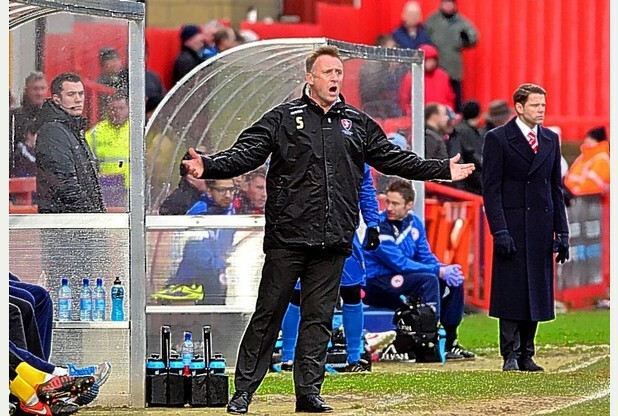 It seems like a lifetime ago Mark Yates was in the dugout. ← Can London and the UK be a Credible Host for WWE WrestleMania?